Thanksgiving is right around the corner and you may be thinking about turkey (mmm, turkey) but Feel Good Friday is here to talk about raptors! You may be asking yourself, "Are thoughts of turkey really what prompted this post?" Well, no. Admittedly, I recently saw a friend who volunteers with Eyes in the Sky and she told me about this very cool program that I'm going to share with you. As they explain on their website, "Eyes in the Sky (EITS) has been Santa Barbara Audubon’s key wildlife education program since 2000. It features seven birds of prey that serve as education ambassadors. All were rescued and rehabilitated but, due to permanent disabilities, can no longer survive in the wild. They were adopted from wildlife rehabilitation centers that would otherwise, by law, have had to be euthanized." 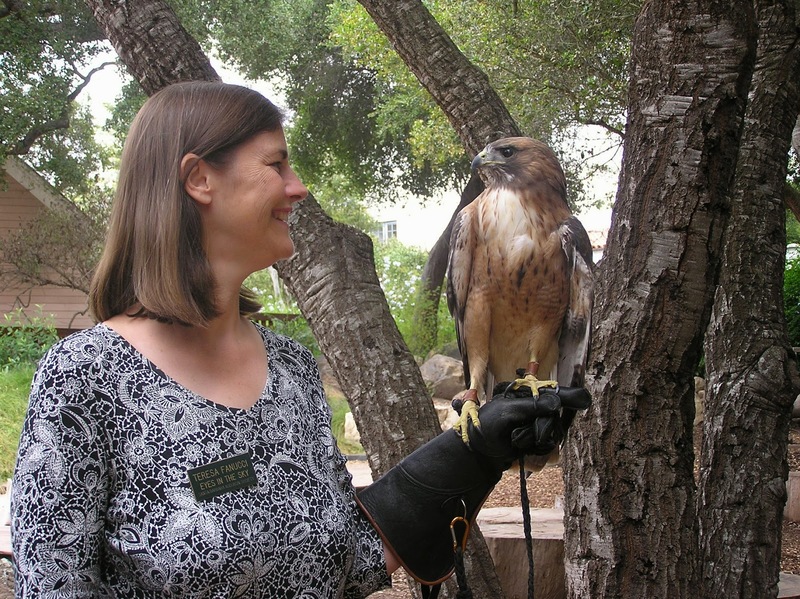 If you live in (or visit) Santa Barbara you can visit the center to meet the birds. If you're a teacher in the area, you can make arrangements for EITS to bring one or more raptors to your classroom for a storytelling program. That's a show and tell day you don't want to miss! For those of you who live too far away to drop by, there's a video of Max, a Great horned owl that you can watch here. 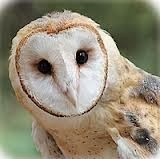 You can also like the Santa Barbara Audubon Society's Facebook page to stay in the loop. Finally, apologies if this post made the Alan Parsons Project song Eye in the Sky get stuck in your head. If it's any consolation it's stuck in my head too.